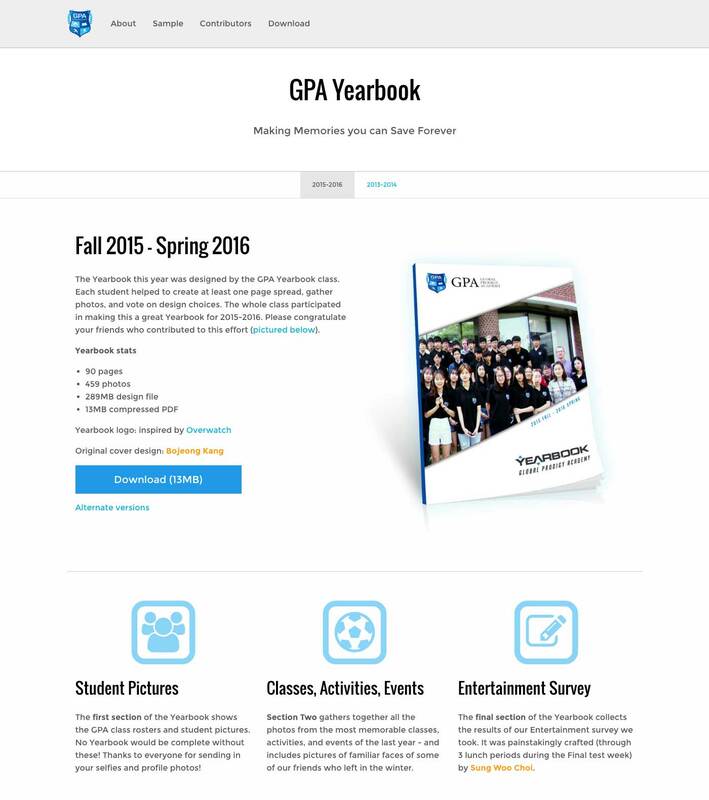 I built this website for GPA (Global Prodigy Academy) high school students to download their Yearbook from because I thought that a landing page would be more interesting for them than if I just sent out an email with the PDF. The site design is based on the site I previously built with Zurb Foundation for PracticalEnglishWriting.com, but this time I rewrote the HTML into multiple PHP files. I have considered turning this template into a very simple CMS (Content Management System) as I enjoy using the template for book/product landing pages, but have yet to do so. In addition to the 2015-16 Yearbook, I also added a tab for the 2013-14 Yearbook (the only other edition so far), and the Newsletters we’ve been putting together in class.